2011 has already seen an intriguing share of idiosyncratic and highly personal American movies coming from all directions – from the made-for-television (Mildred Pierce) to the animated (Rango) to the experimental (Shoals) to the works of high profile Hollywood auteurs on scales both both large (The Tree of Life) and small (Midnight in Paris). However, no American film has impressed me as much as Road to Nowhere, the new mind-bending neo-noir from legendary director Monte Hellman (Two-Lane Blacktop, Cockfighter). 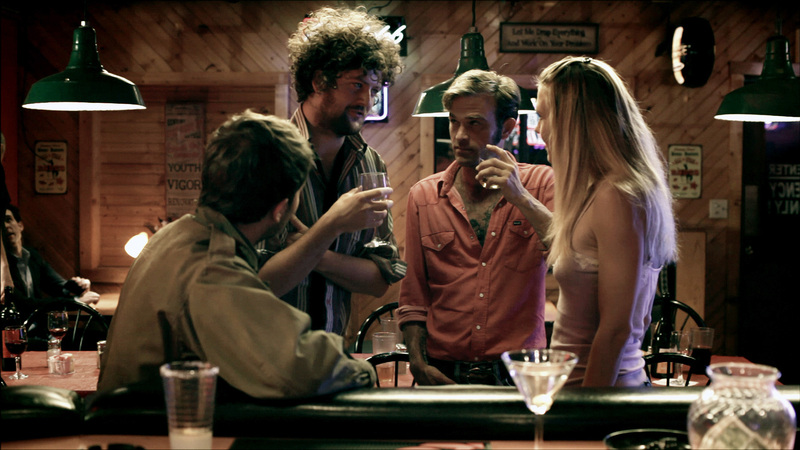 Road to Nowhere is Hellman’s welcome return to feature filmmaking after a 21-year hiatus. It tells the story of the making of a movie, a true crime thriller also called Road to Nowhere, in which multiple planes of reality continually intersect – an intellectually provocative “meta” conceit that is always perfectly balanced by Hellman’s overall mood of romantic longing and a cast of terrific, highly charged performers led by the soulful, exquisitely nuanced Shannyn Sossamon. MGS: As someone born and raised in North Carolina, I’d like to start by saying I’ve never seen my home state look so beautiful in a movie. It was breathtaking to see the backdrops of those green mountains and low-hanging clouds on the big screen. How did you find the locations and how did you manage to capture them with such painterly beauty? MH: We had a great local location manager, Michael Bigham, who led us to some amazing places, as well as secured permissions to shoot. 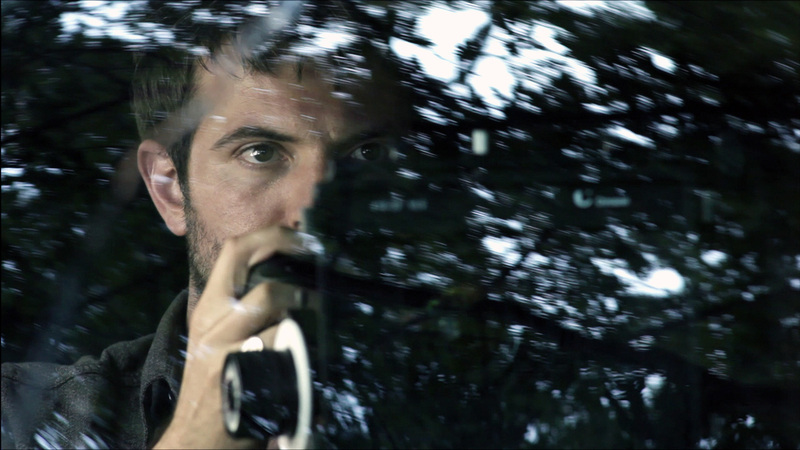 The capturing was the work of our brilliant DP, Josep Civit. MGS: Road to Nowhere has all of the elements that we associate with film noir – the archetypal characters, the mystery plot, the nocturnal settings, etc. – and yet I think the real pleasures of the film lie outside the realm of following a “story” in the traditional sense. Do you think it is possible to make a conventional movie mystery in the manner of, say, an Alfred Hitchcock or a Howard Hawks today? MGS: When Mitch Haven, the director of the movie-within-the-movie, says that he won’t cast stars just in order to raise the budget, he seems very idealistic. How much do you identify with this point of view? MH: I’ve said the same thing many times, but I’ve never had the chance to test my resolve. MGS: Shannyn Sossamon’s dual performance as the actress in the movie and the woman her character is based on is phenomenal. I think she deserves to be a big star (and probably would already have been had she been born in an earlier era). How did you find her? MH: Steve Gaydos saw her reading lines with another actor in a restaurant. He thought they were students, but that she looked the part. He asked her to call me, and was surprised when the call came from her manager. He had no idea she’d starred in so many movies. MGS: I’ve read that the actors were responsible for coming up with a lot of their own dialogue in the film. How exactly did this process work? MH: It wasn’t a lot of dialogue, but the few lines they did come up with were, to quote Jimmy Durante, “cherce.” They would sometimes vary a line or two after multiple takes, just to keep it fresh. MGS: You shot this movie on the Canon 5D, an incredibly small and lightweight digital camera. How different would the film have been if you had shot it on 35mm? MH: I don’t know that the finished product would have been different, just more difficult to obtain. The camera made it possible to shoot in tight quarters that would normally have involved shooting on a set, or knocking out a wall. MGS: Thanks and best of luck with the film.